It is a given that all brides want to look as beautiful as ever on their wedding day. It is very important to all who is involved with wedding planning and preparations to make it the most perfect day for the bride to be. 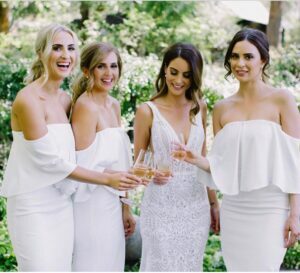 Nicole Arcorace has become one of Perth’s highly recommended hair stylist to create the most perfect wedding hair-style for the bride and her bridal party on the big day. Her professional and super organised manner with all bridal clients provides the bridal party with a relaxed, stress free journey and giving them confidence in her work prior to the day and at hand. 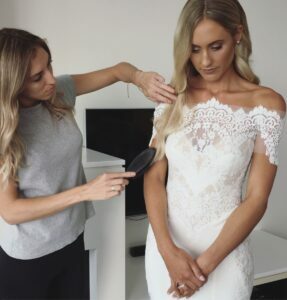 With her caring nature, Nicole always goes over and above as a hair stylist, making sure she will be there on the morning of the wedding day exclusively with the bride’s preperations and until the very end when the bride is ready. All wedding and styling advice. All Bridal Prep Package preparations appointments of hair and beauty services, including wedding trials, colour, treatment and cut appointments, facails, tanning, nails and other beauty needs prior for the bridal party to date. Option of travelling to the bridal party on the wedding day. The hair styling and maintenance on the day. Application of veil, hair extensions and hair accessories if applicable. Any touch ups required and help with dress and shoes. Assistance with the make up artist, florist and photographer prior and on the day. It is essential for Nicole as a creative director of the studio to compliment the bride and her bridesmaids on this special day. 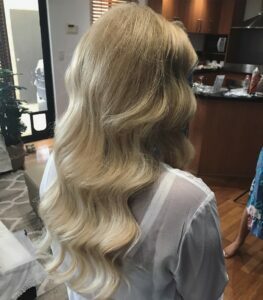 To achieve this, Nicole must be provided with the correct information and all planning details to make sure we are using our high standards of skills, services and tools required to create the perfect hair style. A Consultation Trial Day must be booked a minimum of 4 months prior to any confirmed date is set. Prior to the CTD appointment the bridal client must firstly complete the Bridal Consultation Agreement Form. This form must be filled out correctly to ensure the bride and bridesmaids understand the importance of this agreement form. It must be read, understood, correctly completed and signed a minimum of 3 month prior to the wedding date. Nicole will devote a minimum of 45 minutes during this appointment to discuss all wedding ideas and preparations, as well as a quick styling session to ensure all matters hair related are met.